Deleting Tinder because you want a fresh start? Deleting then immediately recreating your account can get you shadowbanned, because Tinder sees it as suspicious behavior – you know, something a bot would do. You’ll know you’ve been shadowbanned because you can use the app normally, but you won’t get any matches or messages. You’ll need to create your new Tinder account with a different phone number and Facebook, unless you wait longer than the 3-month data-retention period. Any remaining time on your paid subscription to Tinder Plus or Tinder Gold will be lost. You’ve completely run out of people in your area and you want another shot at matching with them. You’ve totally overhauled your Tinder profile with better photos and a new bio – and you still aren’t getting very good results. In other words, you’re firmly in “What have I got to lose?” territory. Properly delete your account according to the instructions above. Create a brand new Facebook account, this time using a different email. (If you were a paid subscriber, you’ll also want to use a different Apple ID or Google Play account). 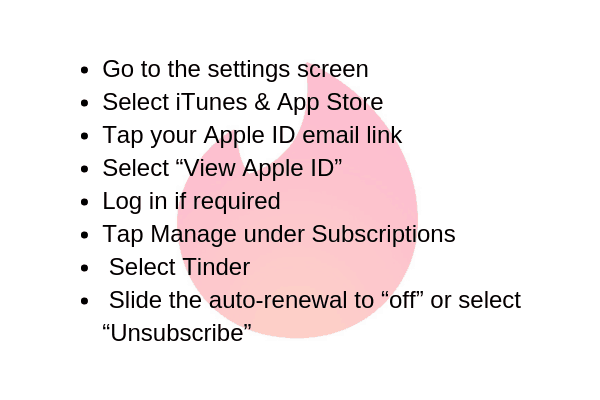 Reinstall Tinder, keeping in mind that if you were a premium subscriber you’ll need to use a different Apple ID or Google Play account. Open the Tinder app, then create your brand new account. You’ll also need a different phone number unless you waited more than 3 months. You’ll need the SMS codes, so make sure you use a phone number you can access as needed. 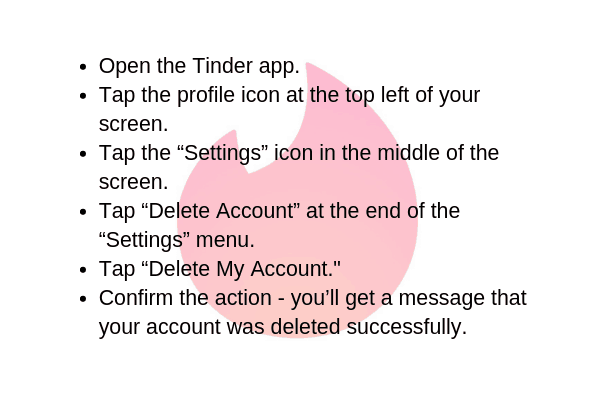 Want to check and see if the Tinder reset was successful? Log in to your new Tinder account. Enter the email to which you want the data report sent. Tinder will send you a link to download your data report, but they don’t specific exactly when – just “in a few days.” Look for it often, because the data link expires 24 hours after they send it. You need to make the most of your fresh start! Your pictures are the single biggest factor in your success on the app, so here are 3 Tinder photo tips that will keep those right swipes coming your way! There’s a reason why hopeful actors and models hand out pictures showing the upper third of their body – i.e. “headshots.” That’s one of the most attractive photo formats. So roll with that as your primary Tinder picture. #1: A lot of contrast between you and the background. The last thing you want to do on Tinder, or any other dating app, is fade into the surroundings. Command the frame! #2: It’s visually simple. No anime-inspired filters, no crazy effects – it’s just you. As an image’s complexity goes up, the perceived attraction level goes down. You want to be easy on the eyes, literally. #3: You’re not hiding your eyes. Anything that obstructs eye contact, be it long hair or a pair of Maui Jim’s, is not doing you a favor. In fact, it’s making you come off as less trustworthy and less likeable – and that’s bad news on Tinder. Or at least keep them to a minimum in your lineup. Not only do people want there to be fewer selfies cluttering up social media in general, but studies have shown selfie takers are rated more narcissistic and less attractive & likeable than the same person shown in a normal, non-selfie photo. Science aside, it’s just plain hard to get the lighting and angles right unless you’ve had a lot of practice. Most selfies on Tinder look awkward and ill-lit, in other words – not flattering. And here’s one universal selfie don’t – if the setting is your bathroom, or any bathroom for that matter, it has no place in your Tinder lineup. Not hot. It’s the spice of life and all, and it will definitely add some to your Tinder profile. 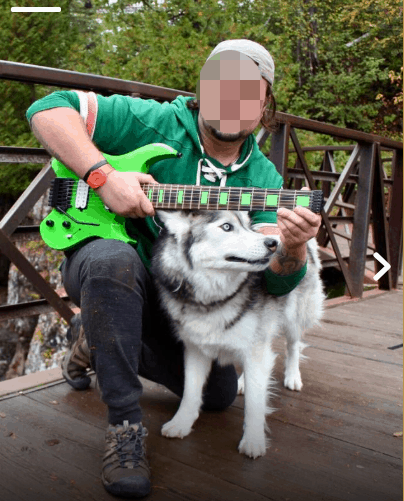 If you want her to “like” your profile, instead of tapping that dreaded “nope” icon, you need to prove what an interesting, multi-faceted guy you are. Photos of you engaged in a physical activity are especially attractive, since fitness is a big must have for most singles. Hiking trips, biking, sports, kayaking – anything that shows you’re down for a work out are great to include. Snaps of you interacting with a dog are also particularly effective. Not only does it subtly imply you’re able to take responsibility for the care and feeding of another living being, but owning a dog also ups your attractiveness rating. And here’s good news if you don’t have a dog – making someone think you do works just as well. Borrow one and have a friend photograph you interacting with it! Variety also includes colors. Most singles on Tinder choose pics where they’re wearing muted neutral tones, so if you want to stand out include some color. Red is a particularly effective choice, as it makes you even more attractive to women. Want more Tinder hacks that will get you off to a great start? Click here! Deleting Tinder and starting over can be a good move – but only if you do something differently this time around the block. 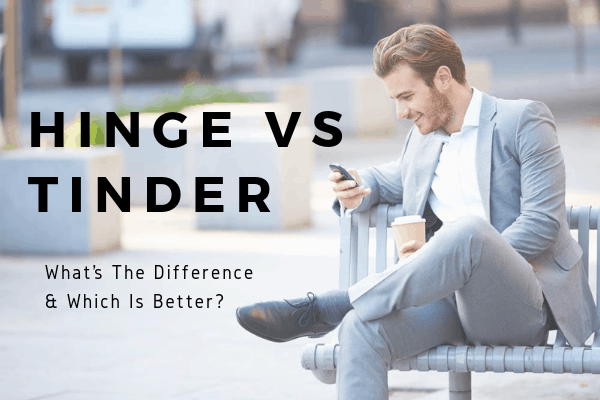 You’ve just gotten some great Tinder photo tips, but getting better results on Tinder isn’t just about improving your photo lineup – you need to overhaul your bio and hone your messaging skills too. In other words, you need to do some prep work and get your game up to speed. You need more than just tips, you need an entire Tinder strategy. It’s work – and it’s why some people compare online dating to a part-time job they never wanted. And here’s the frosting on the cake – Tinder’s been known to both chip away at your self-esteem while simultaneously making your unsatisfied with the matches you do manage to get. Wish you could skip the stressful depressing part, and fast forward to the “meet incredible singles” part? With VIDA, you can do exactly that! Our team of dating experts handle all the hard behind-the-scenes part, while you just have to show up for all the amazing dates! Meeting incredible people on Tinder just got So. Much. Easier. Click here to find out how!